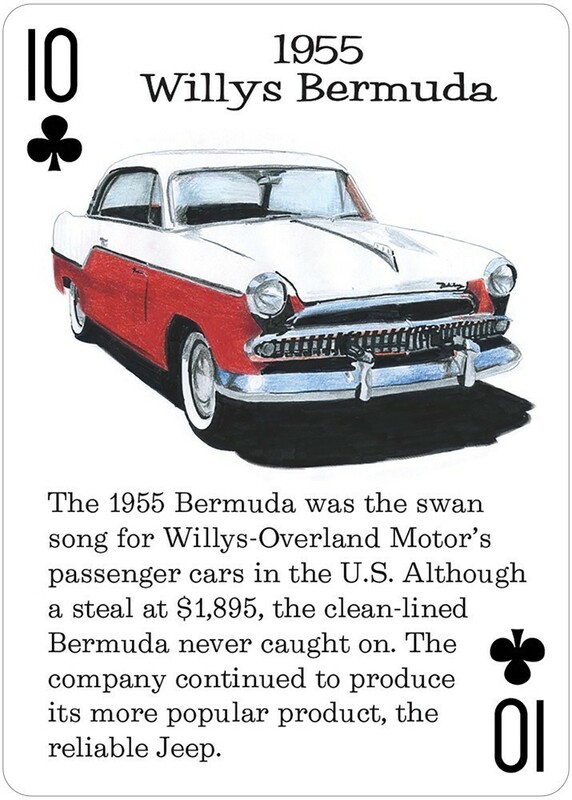 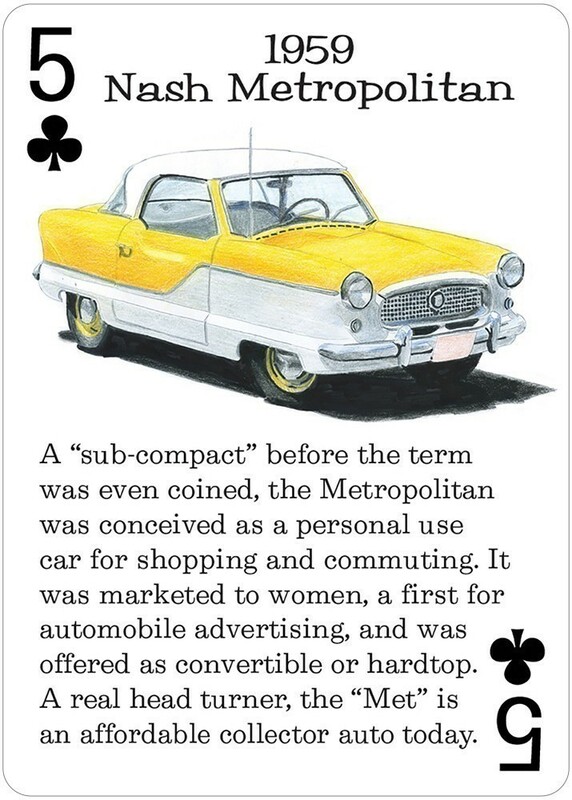 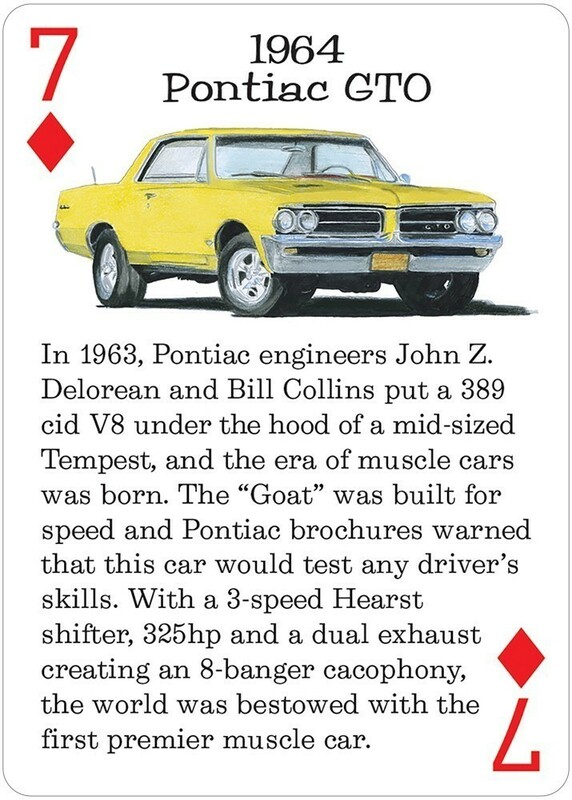 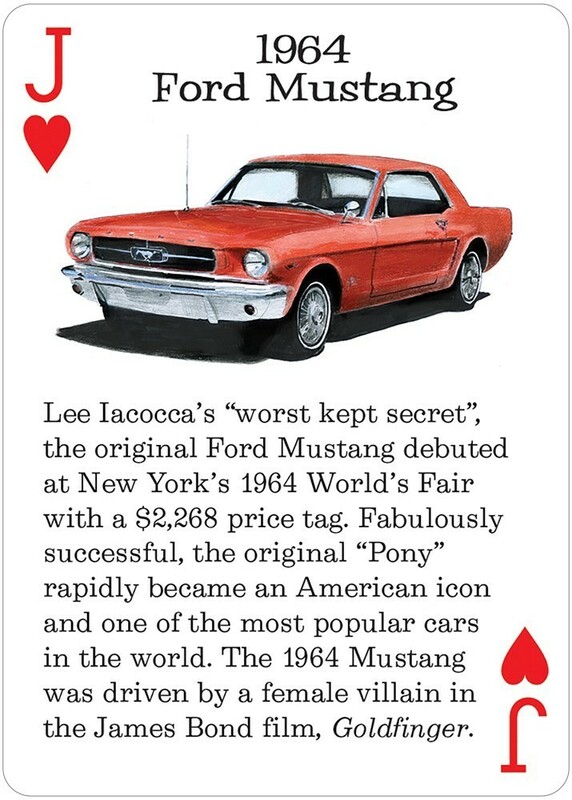 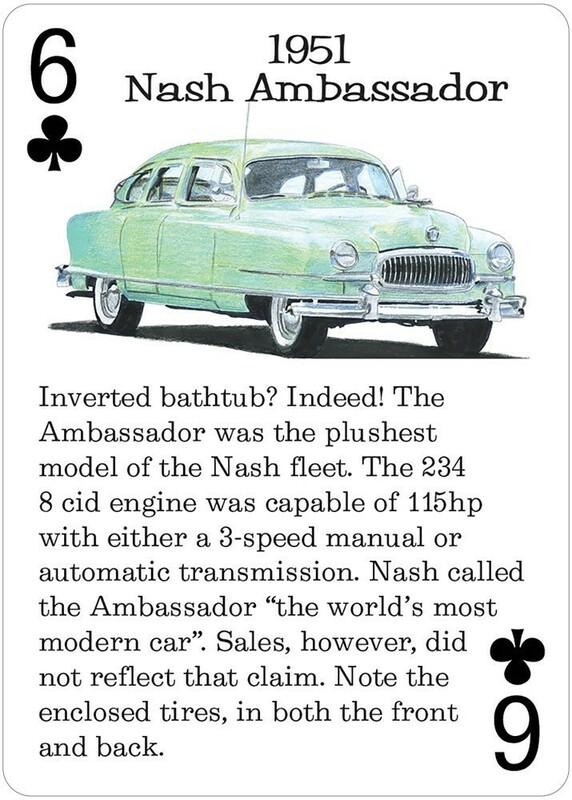 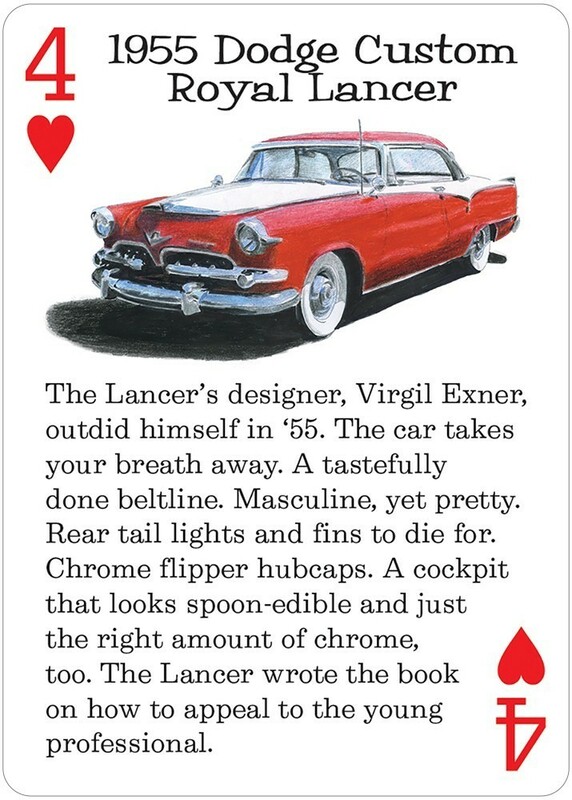 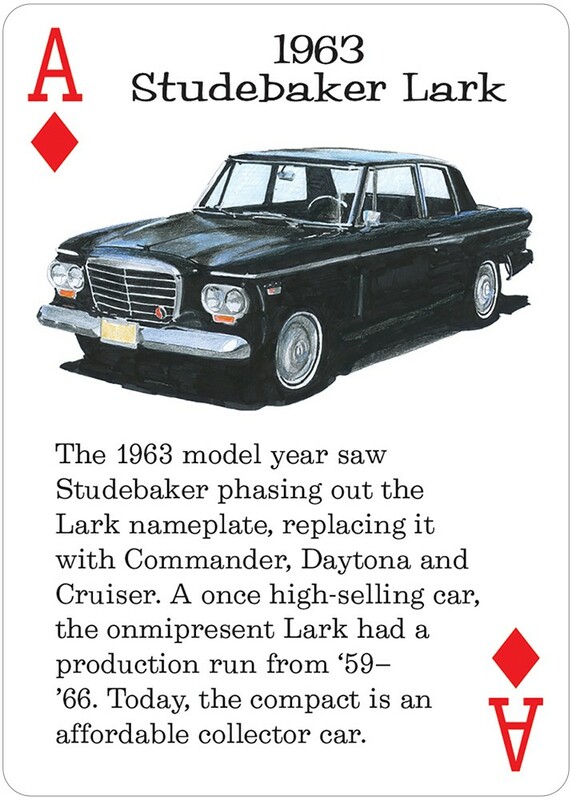 Classic American Rides presents 54 poker-sized cards, each with a different full-color illustration and fact-filled description. 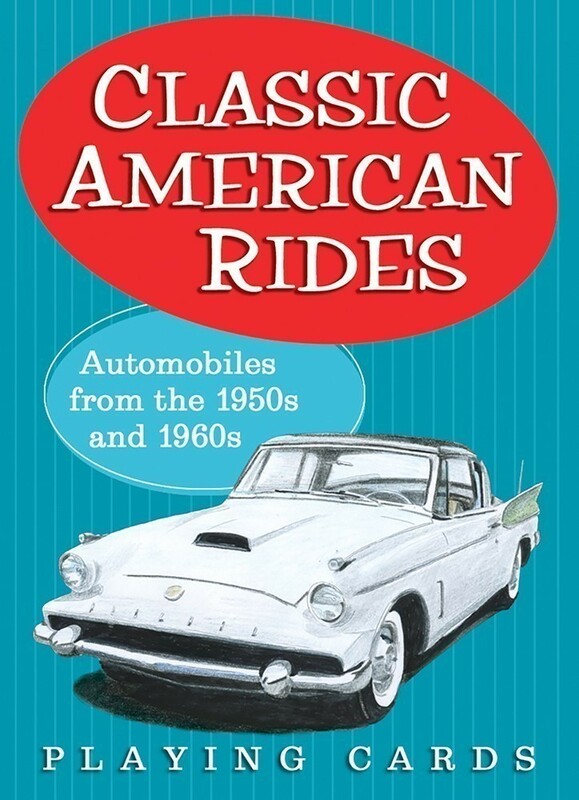 Included are seminal muscle cars like the ‘55 Ford Thunderbird, the ’64 Ford Mustang—the original “Pony” car, the ’63 Corvette Stingray, and the ’68 Dodge Charger model made famous by Steve McQueen in Bullitt. 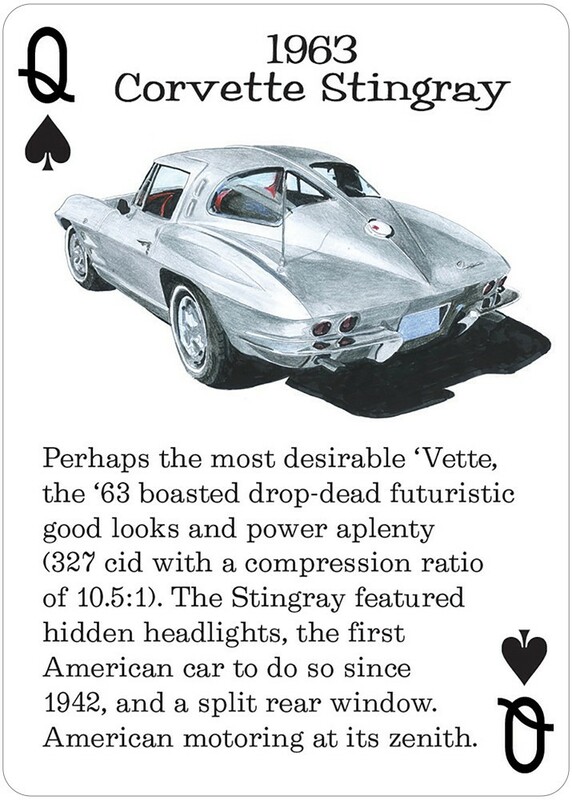 Car aficionados will enjoy reading the interesting anecdotes behind the speedster specs and daring design features that made these automobiles true American classics. 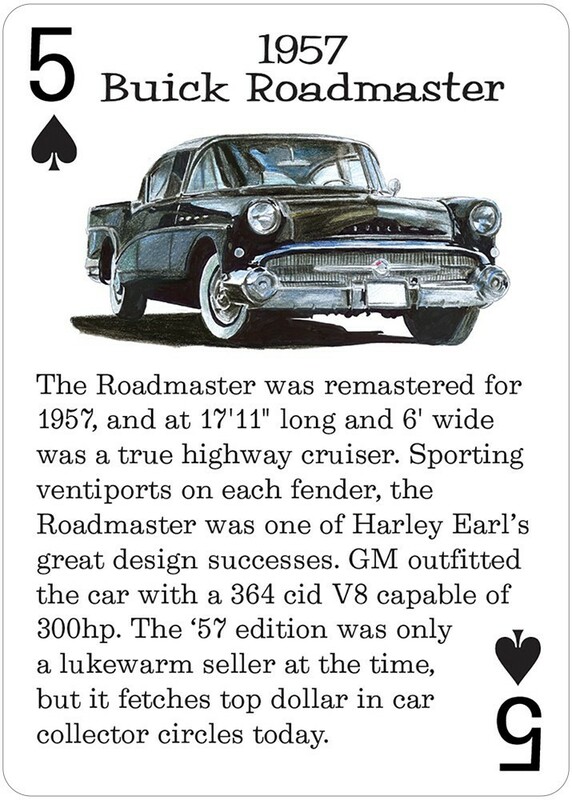 Card deck is suitable for most card games and perfect for gifts.